Barça Lassa imposed themselves clearly in the game against Anadolu Efes (83-107). 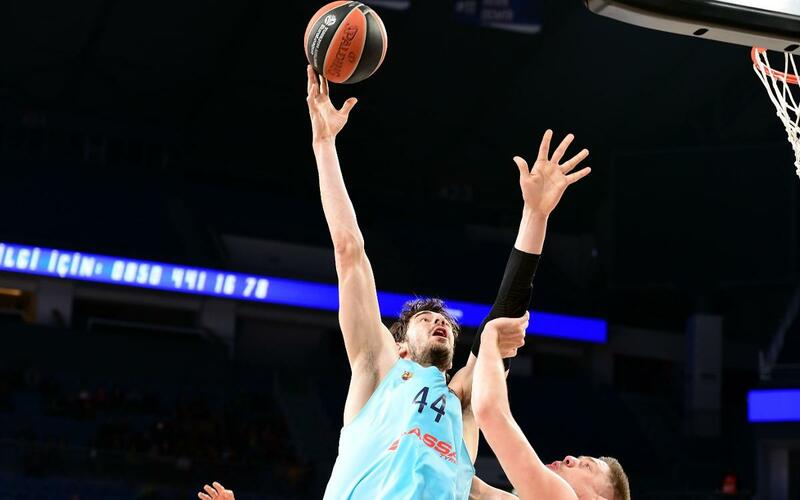 Svetislav Pesic’s men played excellently throughout and they were particularly impressive with their historic total of 19 three-pointers in one Euroleague game. Thomas Heurtel impreseed once again with 20 points and 9 assists which have given him the total of 1,000 in the Euroleague. The game started with Barça Lassa switched on and controlling the rebounds. They took an early six points lead and from this moment on they led until the end. Their superiority was clear in all facets of the game. Barça Lassa had already scored five three-pointers, with only one missed, for 15 points out of a total of 23. In the second quarter, Pesic's team continued to put on a show with their long-distance baskets. Their teamwork and control allowed them to go into the break with a lead of 24 points (31-55). The blaugranes remained out in the lead. However, Anadolu Efes reduced the lead to under 20 points by the end of the third quarter (67-81). Barça Lassa responded in style with 14 unanswered points that secured an important victory. Moreover, Pesic’s side broke records on the way with 17 three-pointers in a single Euroleague game showing just how dominant they had been. They also equalled the record for points scored in this competition. Their next challenge comes at the Palau Blaugrana against Estudiantes in the Liga Endesa at 12.30pm CET on Sunday.